​Pretoria (VNA) – Vice Chairman of the National Assembly Do Ba Ty is on a five-day visit to South Africa at the invitation of Deputy Speaker of South Africa’s National Assembly Lechesa Tsenoli, aiming to strengthen ties between the two countries and legislative bodies. During talks with his South African counterpart on August 24, General Ty showed his delight at the sound friendship between Vietnam and South Africa through exchanges of high-level delegations and coordination at international organisations and multilateral forums. He said that Vietnam treasures its friendship with South Africa and values the effective cooperation with its parliament over the years. 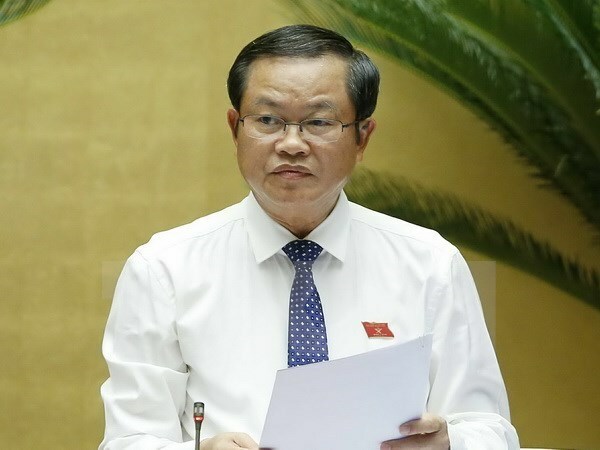 He affirmed that Vietnam’s NA backs the fostering of ties between Vietnam and South Africa, while creating a favourable legal framework to strengthen the bilateral economic and trade partnership. On the occasion, he also conveyed an invitation to visit Vietnam from NA Chairwoman Nguyen Thi Kim Ngan to Speaker of South Africa’s Parliament Baleke Mbete. For his part, Tsenoli affirmed that the parliament of South Africa is willing to share experience with Vietnam in legislation, supervision and settlement of voters’ requests, thus bolstering bilateral cooperation in other fields such as economy, trade, culture and tourism. He said he hope the parliaments of both sides will work to boost two-way trade to match economic and trade cooperation potential. At the talks, the two sides agreed to increase delegation exchanges to share experience in legislation, supervision and law enforcement as well as collaboration among NA committees. The two parliaments will strengthen coordination and monitoring over the implementation of agreements reached between the two governments, ministries and sectors. The same day, NA Vice Chairman Ty met General Secretary of the South Africa Communist Party (SACP) Blade Nzimande, who pledged to work hard to bolster solidarity between the two parties and peoples, considering the ties an important political foundation for economic, trade and development cooperation development. Ty thanked South Africa and the SACP for supporting Vietnam in its past struggle for national liberation and the current national construction.